Robust scientific evidence now supports the traditional use of vitex for women’s hormones – I’ll walk you through what you need to know in this article. Typical dosing is 20-40 mg/day, though up to 240 mg of products containing the herb has been shown to be safe and effective. Tincture or liquid extract is taken in doses of 20-40 drops up to 3 times/day, and some herbalists recommend as much as 1 measured teaspoon (= 5 mL) per day, either all in one dose in the morning, or divided into 2 or 3 doses throughout the day. Vitex is not necessarily a fast-acting herb and you might not get immediate relief when you start taking it – plan to give yourself a time window of at least three months before you expect to see changes, and find other ways to deal with incapacitating symptoms, like menstrual migraines, in the meantime. For instance, if you’re suffering from severe menstrual cramps (or dysmenorrhea), I shared a list a helpful, really fast-acting herbals in my post here. These include warming and antispasmodic ginger and valerian root. Taken in liquid tincture form, they offer almost-instant relief when you need it. Now, onto vitex! Vitex seems to act several ways: 1) it acts similarly to dopamine which is a ‘feel good’ neurotransmitter, 2) by reducing prolactin levels which are elevated during PMS, and 3) possibly acting on our natural internal pain relieving system – the opioid system – by releasing beta-endorphins – something our bodies lack during PMS (however, rest assured, this herb is neither an opioid nor addictive!). In a study in which participants took 20mg of vitex extract daily for three months, vitex was associated with improvements on all PMS parameters: headache, nervousness, restlessness, depression, breast swelling and/or pain, bloating, and even PMS-related food cravings! Another study looking at the effect of vitex on menstrual headaches specifically found that women who are prone to migraines during their menstrual cycle experienced a 66% response rate for dramatic reductions in headaches with 40mg/day of vitex extract taken daily for 3 consecutive months. In fact, numerous studies support the use of vitex for a variety of premenstrual symptoms. I give more essential tips on relieving breast tenderness in my article here. If you’re experiencing PMS and want relief – I wrote more about it here. Regular use of vitex has shown benefit for irregular menstrual cycles. This includes menorrhagia (frequent or heavy periods), dysmenorrhea (painful period), and amenorrhea (lack of menstruation). Elevated prolactin can be a cause of amenorrhea, and vitex has been shown to help keep prolactin levels in check. In a controlled trial, prolactin production was normalized in women with high prolactin levels after three months of treatment with vitex. 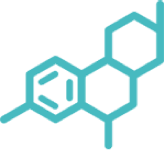 Vitex has also been shown to increase luteinizing hormone (LH) levels and subsequent progesterone levels in women with luteal phase defect – a condition that can also lead to menstrual cycle imbalances like amenorrhea. One small preliminary trial found that 10 out of 15 women with amenorrhea began having a normal period after taking 40 drops of a liquid vitex preparation once a day for six months. Another study included women with sub-fertility and showed improved menstrual cyclicity following treatment with vitex compared to placebo. Vitex extract regulates ovulation, increases fertility, and improves progesterone in women with PCOS. Polycystic ovary syndrome (PCOS) is an increasingly common and complex reproductive and endocrine disorder causing polycystic ovaries, chronic anovulation, and symptoms of irregular menstrual cycles, acne, and infertility. In women with PCOS, the ovaries make more androgens than normal. High levels of these hormones then affect the development and release of eggs during ovulation. Vitex has been shown to be effective in reversing the adverse effects of hormonal imbalance in PCOS. If you have PCOS, make sure to head over here to read all my recommendations. Vitex promotes fertility (particularly in cases of established luteal phase defect, or shortened second half of the menstrual cycle, and high levels of the hormone prolactin); in fact, one of the “side effects” of some of the clinical trials that have been done is that women have become pregnant! It has also been used to prevent miscarriage in women who have a history of miscarriage, possibly due to effects on progesterone. In one trial, 48 women (ages 23 to 39) who were diagnosed with infertility took vitex once daily for three months. Seven women became pregnant during the trial, and 25 women experienced normalized progesterone levels – which may increase future chances of pregnancy. Vitex isn’t a pregnancy herb per se, and while it’s not dangerous, I don’t generally recommend its use in pregnancy because during this time I only use herbs with solid supporting evidence for safety, however, if you’ve used it while trying to conceive, particularly to increase your progesterone level, work with a midwife, naturopath, herbalist, or MD skilled in botanicals to taper off during the first trimester. Again, it’s not harmful and you can feel confident becoming pregnant on it if you used it for fertility purposes. Vitex, at the lower doses, is commonly recommend for breastfeeding support and to increase lactation; however, at the higher dosage range could suppress breastmilk production, so stay within the lower doses mentioned early in the article. 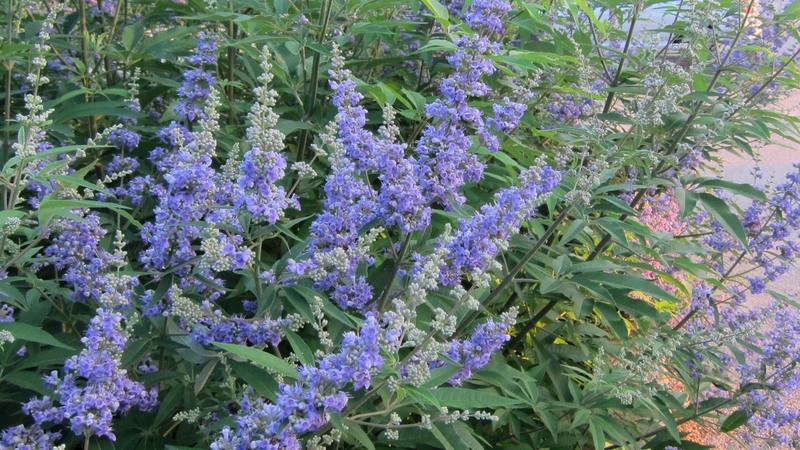 Vitex may help treat menopausal symptoms including vaginal dryness, sleep problems, and hot flashes, though most studies have also included St. John’s Wort, Black cohosh, or soy isoflavones, and is still considered theoretical from a research perspective. Because it has very few side effects, it can also be used during perimenopause if periods are irregular, and to provide emotional symptom relief. A clinical trial involving sixty postmenopausal teachers between 45 to 60 years old studied the possible benefits of vitex for hot flashes. The participants were treated with vitex or placebo, at 40 drops per day for 8 weeks. The decline in frequency and in the severity of hot flashes in the group taking vitex was significant when compared with placebo, starting on the fourth week of treatment and up until the 8th and last week. The results indicated that vitex could be a great option for postmenopausal women, especially in women who have a contraindication to use of female hormones. I share more about natural menopausal symptom relief in my article here. Are you ready to get off the hormone rollercoaster of PMS or perimenopause symptoms? Do you want to know the top herb for enhancing your fertility? Learn more about this natural remedy here. Vitex is considered a very safe herb to take even over an extended period of time – many of my patients stay on it for example, for 6 months at a time until hormone balance is established and treatment goals are met. Because it may have mildly estrogenic (though it has also been found to have anti-estrogenic activity, again, possibly varying with dosing) and increases progesterone, if you have a personal history of estrogen or progesterone receptor positive cancer, it’s important to discuss its use with your oncologist or primary provider. Of note, an exceptionally small number of women – so small it’s not even discussed in the medical literature – appear to experience increased or new depression in the first few days after starting to use this herb. If you experience this, you can simply discontinue the herb, or if the symptom is mild and you feel it is not concerning you, you can see if it passes within a few more days of use – however, if it doesn’t, or mood changes worsen, go ahead and discontinue. It’s unclear why this happens, but it’s likely due to hormonal effects. Some women find that this herb makes previously longer cycles short, and shorter cycles long – meaning the days between periods. Again, if this is problematic for you, adjust the dose, or work with an herbalist or naturopath knowledgeable about botanicals and women’s hormones who can help you troubleshoot the dose. Not every herb is optimal for every woman! Find out more about vitex and other women’s health powerhouse herbs – and how to keep your hormones in optimal balance naturally – in my online course, Herbal Medicine for Women. I’ve created it to be an integral resource for women and for health practitioners, in a powerful, comprehensive 400-hour course. Check out a free sample lesson video here, or read a totally free sample lesson here. Listen to Natural MD Radio: Detoxification – Does What You Eat Matter? If you enjoyed listening to the audio version, subscribe to Natural MD Radio on Apple Podcasts or Soundcloud. If you love what you hear, please SHARE this with your friends, and make sure to leave a review on iTunes so more woman can get health empowered! References are linked in the article above.